When I look at the tech scene in Africa, there is a single question that consistently runs through my mind. What foundational parts of the technology ecosystem do we own, and what are we reliant on others for? Do we build our own software, or are we importing it? Can we prototype and build our own hardware, even if not at the scale of China? Are we investing in our own startups, or is that being done by foreigners? Do we have our own researchers, or are we okay with people parachuting in from abroad to do that for us? It’s quite difficult for me to do much about any of this beyond Kenya, so I focus on what I can do here and hope that it works and the model can transfer elsewhere. The iHub, m:lab, iHub Research and Savannah Fund are examples of this, where our efforts are focused on local software, startups and funding. The newest additions are the iHub’s UX Lab and a new high performance computer cluster, both filling a void not just in Kenya but in the continent as a whole. Both of which will come online this Summer. Beyond that, we’re looking at hardware, thinking about what it would look like to have our own hackerspace and TechShop, in a model suited for Kenya. We are fortunate to have excellent corporate partners at the iHub, one of which is Google, who provided some funding to get two initiatives off the ground. 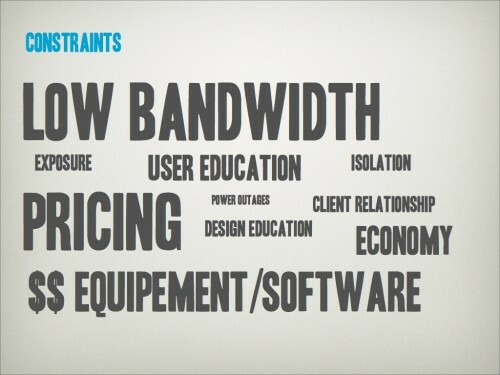 In the software space design is one of our weakest points. This isn’t just web or mobile design, this is product design and it’s rooted in a lack of understanding or desire to provide a better user experience. Core to providing better products is doing research on what users are looking for and how they are using technology in the first place. Shikoh Gitau has worked closely with the iHub Research team for the past year, in fact the core ideas that presented the challenge for that space to come into existence was from a paper she wrote, where she showed how little of the technology research done in Africa was by African researchers. Shikoh works with the user experience teams at Google, and started talking to us about the UX Labs that they run around the world. I had also had the chance to do a workshop with Andy Budd at Tech4Africa, and then chat again in the UK later on. First hand, I got to know Gabriel White through some work he did for Ushahidi. Both of them helped me get to a better understanding of the value of UX research in the product design process. All of this led to us deciding that the iHub should create a UX Lab, a resource that would serve the region. A place where companies and startups learn about and begin thinking about user experience as they develop new products. We’ll do this through masterclass training on skills, partnering with the top UX experts in the world, and by providing the resources for this to happen. Mark Kamau has joined the team to lead this initiative. At the end of 2011 I was approached by one of the iHub Green Members, Idd Salim, about an idea of building our own supercomputer. Why? Outside of South Africa, there is little to no capacity for cloud computing on the continent. This means that few of the programmers in this region have the skill sets necessary to work and build out this infrastructure. We have a severely limited foundation on which to build future services in an increasingly cloud-based computing world. A host for parallel and resource-hungry applications such as weather prediction, draught prediction and real-time information dispatch. The initial funding for a small HPC deployment has been funded by Google Africa Inc. Intel have further added to the project a Intel MultiFlexÂ® Server for use as the “master” component of the HPC cluster. 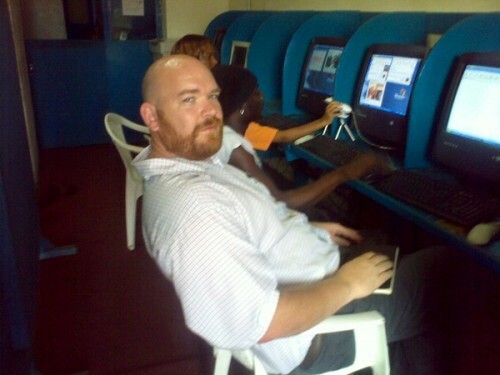 Bob Aman works at Google here in Kenya, and has become a staple at the iHub where he runs his office hours twice per week. He, along with Idd Salim and Jimmy Gitonga are building the first 4 nodes of what we hope to be a 24 node cluster. The most I had done before this was build my own gaming rig, so I’ll be honest in saying that I’m the noob in this group, where most of the conversations are beyond me. As with the UX Lab, the iHub Cluster will be for people to learn what goes on under the hood of HPC’s by building it, and to learn how to use the power in it to solve big data problems. It will also be made available to the animation and ad agencies in town for rendering services. The UX Lab and iHub Cluster will come online this summer. Both projects have the leadership in place to run them and the resources to build them out. They’ll both be located in the same building with the iHub, and both are being built with the greater Kenyan tech community in mind. Like all of the iHub initiatives, they only work when people from the community are a part of them. If you would like to get involved in either, reach out to the respective leads: Mark Kamau for the UX Lab, and Jimmy Gitonga or Idd Salim for the Cluster. I get culture shock every once in a while, and it’s not the normal type where you’re coming to a new country and everything is completely different than your own country. This is more subtle, I’m at a conference with a lot of people who look and sound like me, but when you actually listen to their conversation you realize that they define themselves and the world in a way just slightly different than you do. That’s what happened to me over the last 3 days here in Boulder, Colorado at the IxDA 2011 – the big Interaction Design Association annual conference. I’m surrounded by 600+ designers, people who think deeply about why you and I do things, and ways to make us do it better, differently or for more money. Specifically, I covered how bandwidth has made it difficult for people to create new sites and services, but more importantly, how the uptake of those is limited by consumer use of the internet due to costs and speeds. This is changing though, as tracked and evidenced by the lowering data costs and increased bandwidth being piped into the continent each year. 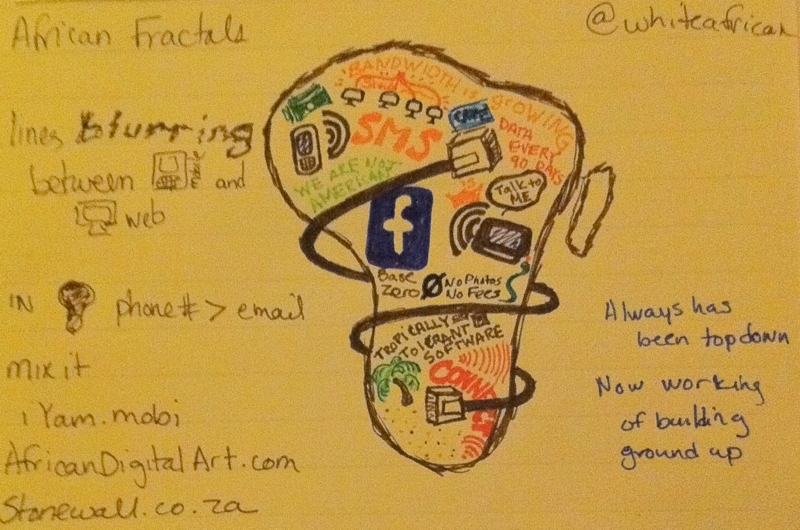 I also covered the swiftly blurring lines between Mobile and web. How due to the fact that mobiles are the primary device for Africans and usually the first device that people have a meaningful interaction with the internet on, is creating a different type of user. How the entrepreneurs in Africa’s web space are thinking of it from a mobile context and how they build services to address their audience. Here I got into the argument of diffusion of internet penetration via the big international players like Facebook and Google through mobiles, which then open up infrastructure and cultural use making it more accessible to local startups. Finally, I talked about culture. How this culture of mobile first plays out. Where the phone number trumps the email address on user signup, and where transactions happen due to that norm. It’s here that I also got to bring up one of my favorite people, Jepchumba, the creator of African Digital Art. She is creating a community, and a movement, to get African designers talking to each other and showcasing their work to the world – breaking down the stereotypes and building up new personalities across the continent. 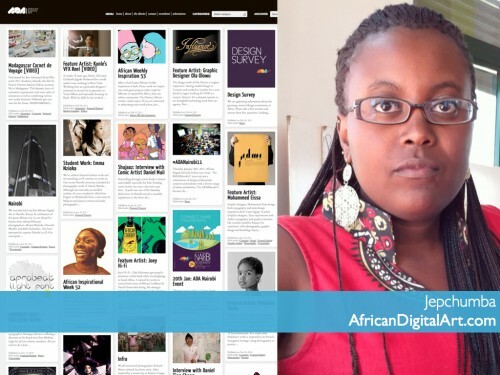 Jepchumba helped me come up with some of the content behind my talk due to running her African web design survey last week (it’s still open). There’s a lot of information in that survey, much of which is still being gathered. 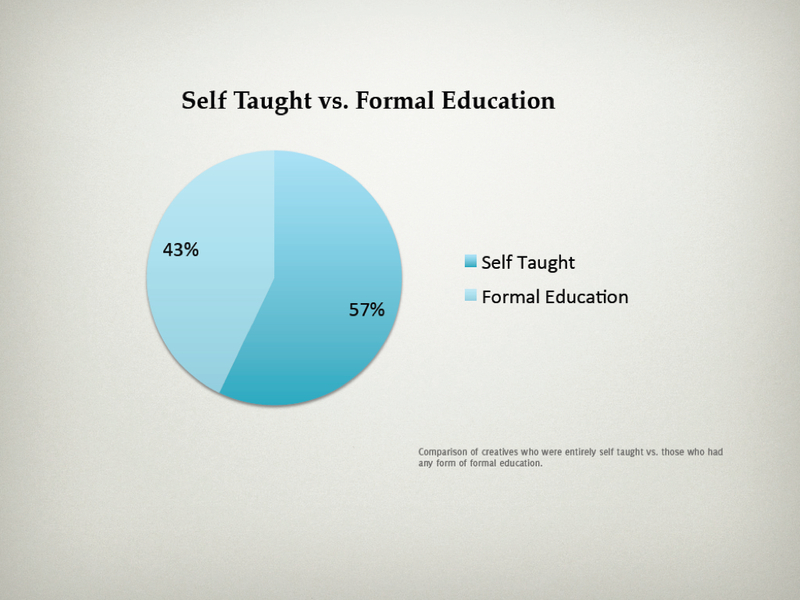 As an example though, is this chart showing the percentage of African web designers who are self-taught as opposed to having a formal education. I wonder if this is normal globally? Getting back to my starting point. Sometimes this culture shock leads to great conversations, and it allows me to see the world that I live and work in a slightly different way. Erin Moore is a designer and a storyteller, usually through video and blogging (see her newest project on Kickstarter). She introduced me to this terminology of “designers as explorers” – something that might be very apparent to the IxD field, but foreign to me. It’s a phrase that fits. Where we see designers as a new generation of what we thought of as National Geographic explorers a century ago. They’re best embodied by the Jan Chipchases of the world, who spend a great deal of time watching, listening and understanding how design interactions work, and then translating those discoveries to the rest of the world. It fits because I have a hard time with a lot of the well-intentioned design community thinking that they can parachute into places like Africa, usually with a solution already in mind, and change the world. There is a place for designers in Africa, but the greatest value lies in recognizing the expertise at the local level, the inventiveness and ingenuity already there, and rubbing shoulders with them in a way that both gain value and maybe even build something new. Ana Domb is another of the unique people that I met here at IxDA, she’s studied at MIT and has a good steeping in both digital technology, mixed with a focus on media and understanding fans (the people kind). It was this background that took her to Brazil (she’s Chilean) to study Technobregas – a crazy hodgepodge of fans, artists, sponsors and DJs all banding together to create their own music reality, outside of the traditional music industry’s grasp. It takes someone with a distinct design focus and understanding of how social interactions happen to be able to translate that to someone like me (paper here). We need to see more of this. Where American designers do parachute in, but not as problem solvers, instead as explorers. Where their expertise rubs off on those they meet, and those they meet rub off on them. Both benefit. Equally, we need to see more African designers going abroad and using their expertise in shaping the way the Western world uses technology and understands community. Design interactions go both ways. 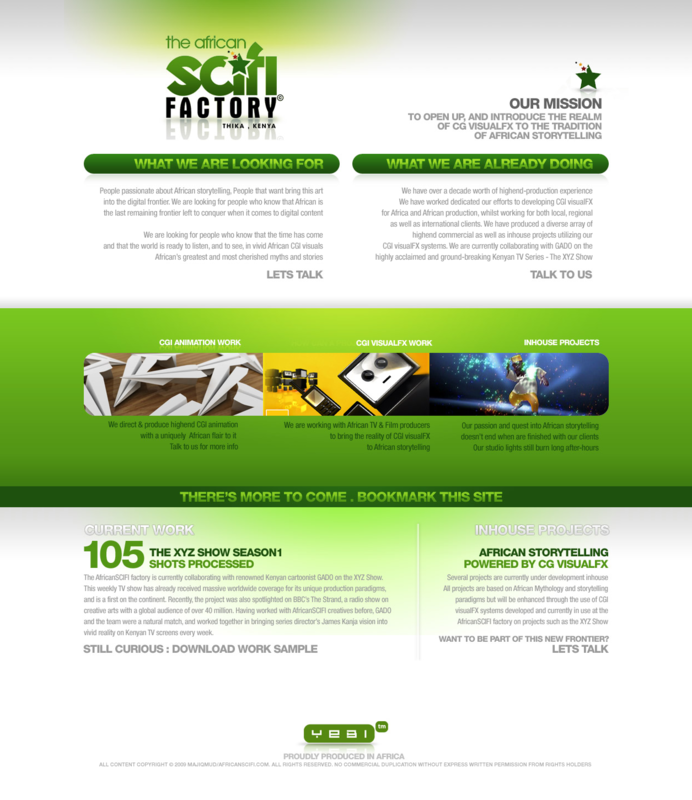 "The African Scifi factory is a highend production facility located in Thika-Kenya, dedicated to re-establishing popular African science and fiction narrative using animation ..."
The African Scifi Factory in Thika, Kenya sounds like a great place. It looks like one too, their site looks pretty good. However, no one will ever hear of them or find them online through a search engine. That text above, it’s their meta name=”Description” tag, and it’s about the only thing that Google or any other search engine can see about them. They’re virtually invisible to the web. It’s 2010 and we still have people designing websites in pure images (as above) or Flash. It doesn’t make sense. 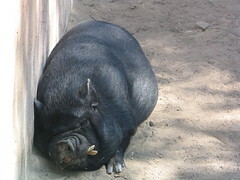 Why the need to hamstring yourself, your business and your clients by not designing an XHTML site? The African Scifi Factory isn’t the only one, I’m just using their site as an example. We actually have designers being trained today who only learn how to use Flash. We have others who still don’t know how to handcode HTML and CSS. I still see CVs and resumes from “serious” designers who use Dreamweaver to create websites. We all need to realize that we live in a global ecosystem, especially online. There are no borders in this space. If you’re a web designer who does crappy XHTML and CSS, then know that you’re becoming less relevant with every day that you don’t learn your trade better and update your skills. Kids in the Ukraine, Indonesia and elsewhere are eating your lunch. I can Google a PSD to HTML business in 5 seconds, take the top result, and have my designs put into excellent XHTML/CSS for as little as $45. Why should I use your services? What do you offer that’s so much better? You’re not a quality web designer if you can only put together a fancy looking Photoshop file, that makes you a designer. A web designer needs to know how the HTML and CSS work, understand user-interaction and usability of the functions in the design and be able to create bulletproof markup. Interestingly enough, the programming community in Africa seems to be better off than the web design community. There seems to be a lot more quality programmers per capita than there are quality web designers per capita. 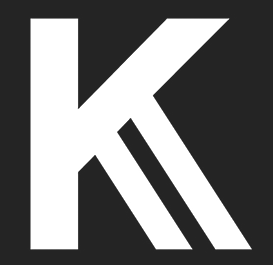 What will it take for us to take our web design skills as seriously as our programming skills? 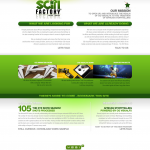 A young designer by the name of Martin Kariuki decided to take the specific example of African SciFi Factory into his own hands after this blog post, and re-created the whole site in HTML. See his blog post and work on this here. Great job by Martin for doing this! Impressive initiative and a nod to the goodwill in this community. Two sites recently caught my attention coming out of East Africa. Bongoza is a new search engine for Tanzania. I’m intrigued by this idea of a niche search engine by country. Usually I would think that the big search engines would do an adequate job for any area, however it might be different if there’s a human helping to index uniquely Tanzanian content, especially as much of it is in Swahili. The sites in the index are mostly sites that end in the .tz TLD. But since most companies in Tanzania have .com’s, he searches on the internet for hosting companies in Tanzania and gets a list of websites that they host and index them accordingly. Ali Damji is the gentleman behind the Bongoza. He also created the Tanzania Startpage, which is a useful index of interesting Tanzanian websites, and and Mshikaji (which appears to be down). I love seeing this kind of online entrepreneurship and will make sure to watch this space for more from Tanzania. EA Collective is a new blog that aims to showcase Kenyan designers. I hope that Barbara Muriungi takes their name seriously though and broadens the scope to web designers from Uganda and Tanzania as well. I know I’ll be paying attention, as I’m always looking for top-notch web designers and developers from Africa. If you’re a web designer from East Africa, you should consider getting your work in front of Barbara for her to post to the EA Collective blog at bkagwiria [at] gmail.com.